One of the most widely used languages in the world, Portuguese is spoken by an estimated 260 million people throughout the world. 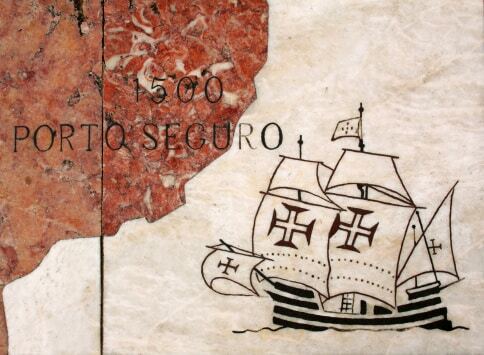 Portuguese is the officially recognized language of Portugal, Brazil, Mozambique, Angola, Cape Verde, the Azores, Guinea-Bissau, and São Tomé and Príncipe. While Portuguese is the sixth most spoken language in the world, it isn’t uniformly homogeneous and is marked by noticeable differences. Getting a professional Portuguese translation of your document with the right dialect can be challenging. To ensure you receive an accurate translation, appropriate for your target audience, we use only experienced native translators in Portugal, Brazil and Angola. Native speaking, in-country Portuguese translators live and breathe the language they translate into. This helps ensure that you receive the highest quality, culturally sensitive translations possible. Some companies rely on computers to provide machine-based translations. However, machines seldom provide accurate translations suitable for professional use. Often machine translations provide poorly translated, unintelligible results. Even when the results seem to make sense, often important details are lacking and dialect differences are ignored. Since the Portuguese language varies throughout the world, machine-based translations can yield disastrous results. Regardless of whether you are translating your website, product brochure, employee manual or immigration documents, in the age of globalization you need to partner with a proven translation leader with the services you need. Our Portuguese translation team has the technical competencies to ensure your product is a success. We can translate using CAD software, Adobe Indesign, Microsoft Publisher, Excel and PowerPoint and a multitude of other applications. In today’s global economy, you should consider targeting the Portuguese market with your website. Our multi-lingual Portuguese translators can even provide basic search engine optimization to ensure you reach your markets affordably. • Portuguese is the most spoken language in South America and the second most spoken after Spanish in Latin America. • According to UNESCO data, Portuguese has the highest potential for growth as an international language in southern Africa and South America. • Portuguese is the second most spoken language in Massachusetts. • Portuguese is an official language of the Special Administrative Region of the People’s Republic of China.